A graphic about the project included on the company's website. 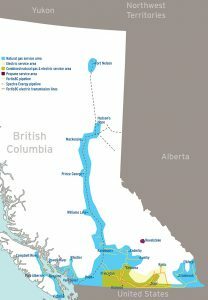 COMOX, B.C- A proposed natural gas pipeline that would run from Powell River to Comox doesn’t have a solidified route yet. 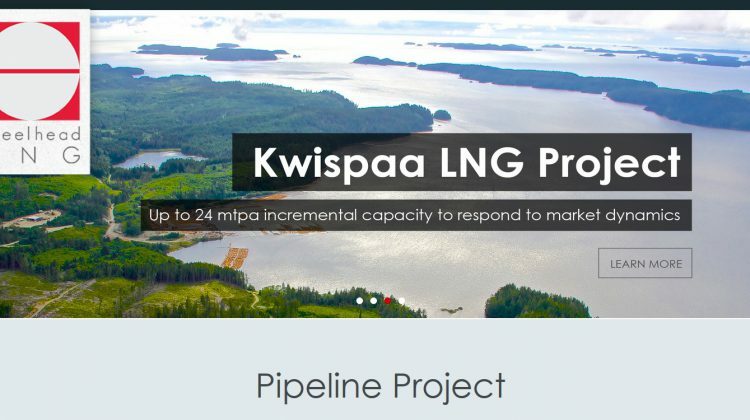 At the end of October, a new liquefied natural gas (LNG) plant had its project description released by Steelhead LNG, a Vancouver-based company, and the Huu-ay-aht First Nations, who hold land on Vancouver Island’s west coast. The plant is being sited on land owned by Huu-ay-aht at Sarita Bay, near Bamfield, on the southwest coast of Vancouver Island. However, it would be dependant on natural gas being carried to the plant via a pipeline, which had a rough outline included with the plant’s project description. Starting in Chetwynd, it would reach Powell River via a greenfield right of way though the Coastal Mountain Range. 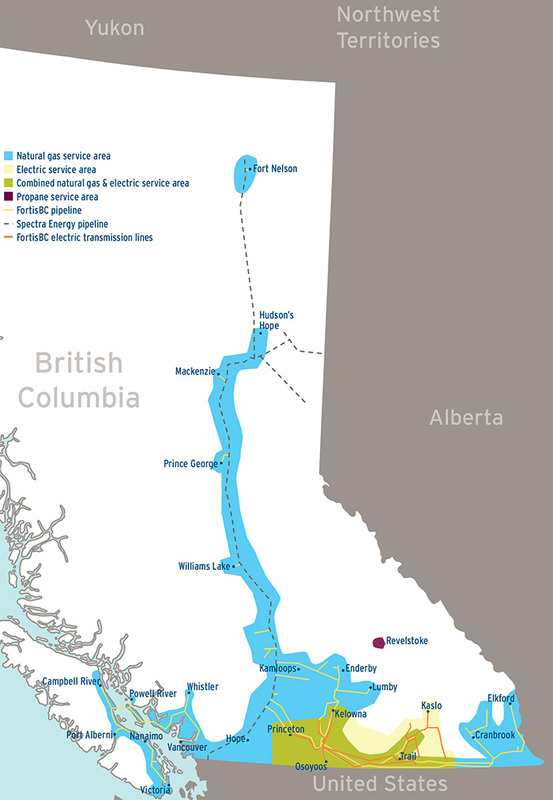 The line would then be tied to an existing Fortis BC natural gas transmission line, crossing the Salish Sea to Comox. A map of the FortisBC service area. Steelhead is currently working on early technical and environmental studies to assess the proposed corridor. According to Stewart Dill, Steelhead’s director of Indigenous and Community Relations for the pipeline, the company is still at an earlier planning stage for the project than their work on the plant. A project description is not expected to be submitted until into next year. As for possible routes, Dill said the company was in the “very early stages” of looking at options, with technical feasibility work ongoing. There are “early discussions” ongoing with First Nations and local communities that could be affected by the project, looking for their input on what could be an acceptable route. Dill expected that a route wouldn’t be chosen until next year. The rough outline from Chetwynd to Powell River and across to Comox is part of a “preliminary study corridor”. He also indicated that once the project description for the pipeline is released, an environmental assessment process would start. Dill emphasized that the company is looking to incorporate the feedback they get from First Nations and local governments into the planning of the pipeline route, with the hope of having support to move forward with the project. However, a clear plan wasn’t evident in the event of a community or First Nation saying no to the line passing through their area. “I guess we’ll cross that bridge when we come to it,” said Dill. He stated that the pipeline is “integral” to the LNG plant going ahead, and also touched on the possible benefits to communities where the infrastructure would be placed. “There would be substantial property tax revenues, that local communities would share in,” said Dill. Decommissioning plans would be in place for the LNG plant and the pipeline as well, according to Grant. “With respect to the pipeline, the plan would be to clean and disconnect the pipeline, and for it to be left in the ground, to avoid any further disturbance to the environment,” said Dill. The line is targeted to be in service by the fourth quarter of 2024, depending on regulatory approval and permits in British Columbia, a final investment decision on the facility by Steelhead, and construction of the line and facilities. The MyComoxValleyNow.com newsroom will be reaching out to local governments and First Nations for their views on the possible project.